Ohhhhhh I love love love them all!!! your card turned out FABULOUS!!!!!!!!! Yes, I thought that was cool! Love this! Can you direct me to where I can find instructions? Maybe I missed it on your blog? Thanks!!! Thank you!! BTW, LOVE your blog!! I have never heard of this. How does it work? Do you lay items on the special paper then put them in the sun for a certain number of hours? In the beginning, was the paper blue or white? Is it stable afterwards? Can you frame these creations or use them as cards? You got such a cool result. Love it. Wish I knew more. You always have such interesting ideas. I learn a lot from your blog! 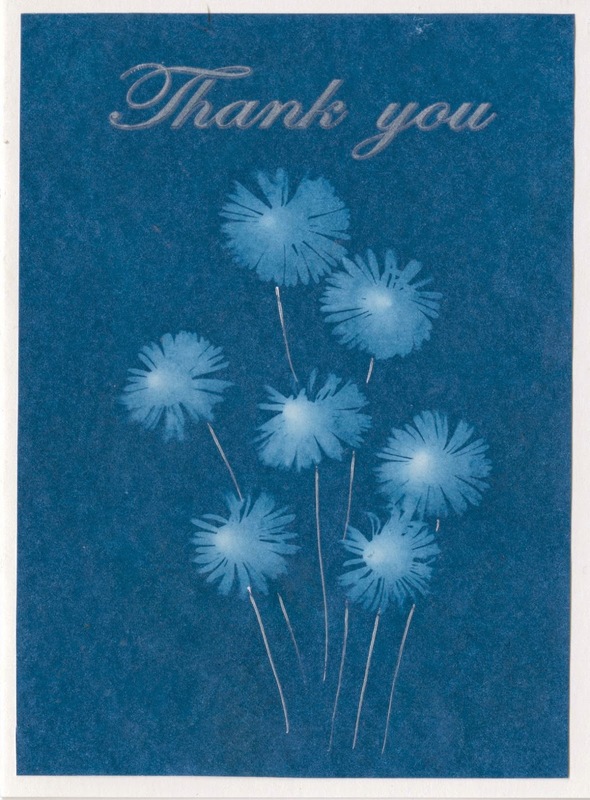 The paper starts out medium blue and is in a light-proof envelope within its package. 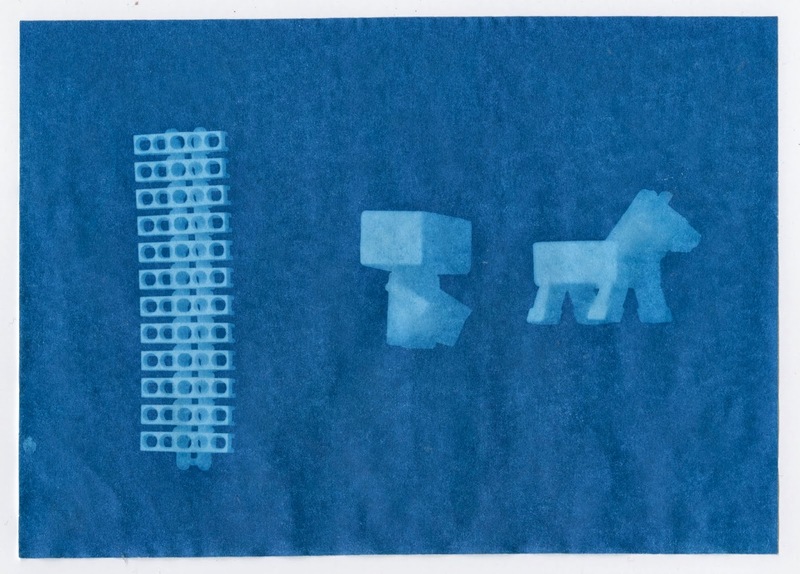 You remove a piece of the paper from its special envelope and then layer a piece of cardboard, the paper, and your items while standing out of direct sunlight. You move it to direct sunlight. Within 1 minute, the paper turns from blue to white. When the paper is white, you move the whole set-up to the shade without disturbing the objects, then remove them and dunk the paper in water. 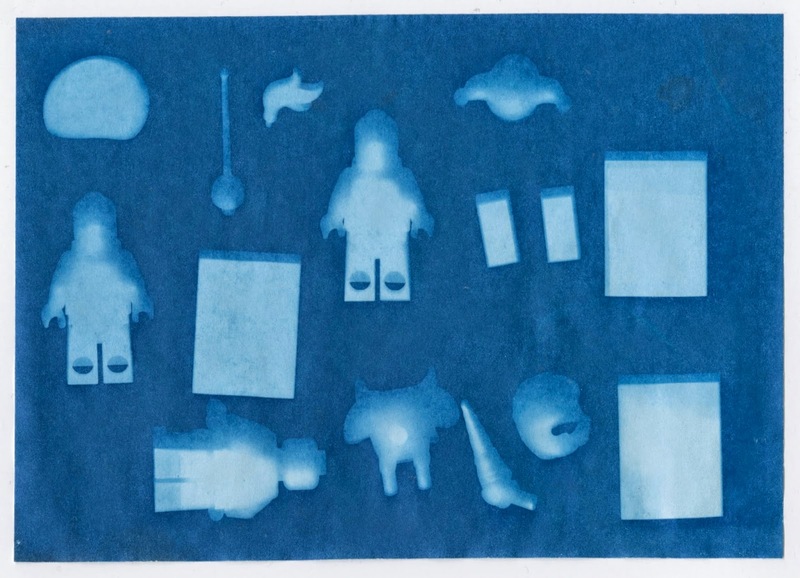 After swishing for about 1 minute, the white paper returns to medium blue, but the object silhouettes stay white. 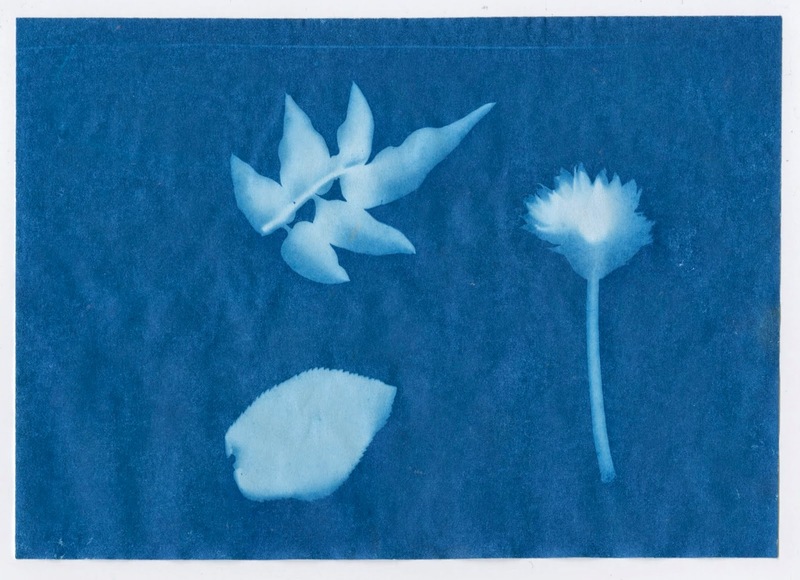 As the paper dries (20-30 min), it turns to the dark blue you see above. Once they are dry, they can be exposed to light without concerns about messing up the prints. You can frame them or use them as cards, bookmarks, etc.